Dr. Harriet Hall, M.D., editor of the website Science-Based Medicine, highlighted the use of acupuncture to treat age-related macular degeneration (AMD) last month. She mentioned that Stephen S. Rodrigues, an acupuncturist from Dallas, Texas, had referred to her a website that advertised an acupuncture treatment known as the Santa Fe protocol that promised to “reverse vision loss from macular degeneration in 4 days or your money back.” The article was written by Alston C. Lundgren, once a family physician who turned to the practice of acupuncture. While such a claim can make some people believe that acupuncture can treat AMD, a major cause of blindness in older adults, Dr. Hall casts her doubts upon the claim and the study used to back up the promise that appears on the Santa Fe protocol website. The criteria used by Dr. Hall to evaluate the claim that acupuncture can treat certain kinds of blindness is useful in spotting which reported medical “miracles” are also unproven and ineffective. AMD comes in two types: wet and dry. According to Dr. Hall, dry macular degeneration constitutes about 90 percent of AMD patients, while the wet version makes up the remaining 10 percent. According to the Mayo Clinic, dry AMD is the gradual loss of sight in the center field of vision and is caused by deterioration of the macula, which is the center of the retina. Wet AMD is the leaking of blood and other fluids in the blood vessels that are beneath the retina in the back of the eye. While current medicine cannot cure dry AMD, wet AMD can be treated with anti-VEGF, which slows the disease’s progress. Dr. Lundgren claims that the Santa Fe protocol treats both wet and dry AMD, using acupuncture to reverse the process. His website proposes three components to his treatment, which includes inserting small steel studs into certain nerve endings in the ear that correspond with specific regions of the brain. Doing so will bring more oxygen-rich blood and cortisone to the retina. He also claims that he has perform over 10,000 treatments on 1,500 patients with an 85 percent success rate. Patients are given five sessions over five consecutive days. Other than a study published in Medical Acupuncture in 2005 by Dr. Lundgren and a couple of PowerPoint presentations, Dr. Hall could not find any other resources to support his claim – not even on PubMed. “This could have been good science,” Dr. Hall wrote. Dr. Lundgren could have recruited a retinal specialist, used an “acceptable control group,” blinded the visual acuity testing, and documented detectable changes of the disease itself. “He could have gotten IRB approval and been published in a PubMed-listed mainstream medical journal so others could have checked his work.” Unfortunately, about half of the published research is littered with such poor-quality studies, which can confuse or mislead both professionals and patients alike. Currently, PubMed yields very little results about acupuncture treatments on AMD. The only publication available is from a Chinese-language study published in Zhongguo Zhen Jiu in 2011 that showed those who had AMD and were treated with acupuncture had an 88.3 percent effective rate versus the “medication group” that was treated with oral intake of vitamins C and E and an Entodon injection, which had a 60 percent effective rate. About 84 cases (with 90 affected eyes) were randomly selected to an acupuncture treatment (56 cases, 60 eyes) or a conventional medical treatment (28 cases, 30 eyes). 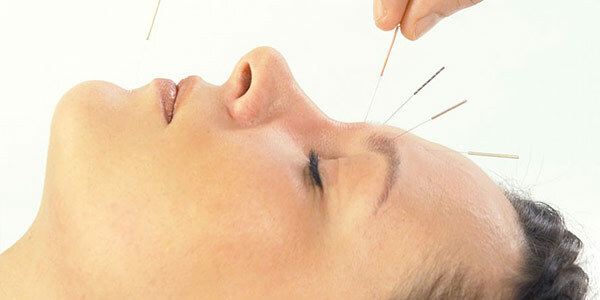 Despite the claims that acupuncture can treat blindness, Charles M. Zacks, M.D., chairman of the Academy’s Ethics Committee, told Eye Net magazine, a publication by the American Academy of Ophthalmology, that ophthalmologists should use “current established therapies” while bringing in cutting-edge treatments carefully into clinical practice. If such therapies do not work, techniques and therapies that are “investigative and experimentally promising” should be the next options. He cautioned “speculative or unproven” therapies, which include many modalities of complementary alternative medicine. 11 Responses to "Acupuncture Treats Blindness? How to Spot Unproven Medical Miracles"
Instead of this back and forth clinical and ethical arguing, and the fact that AMD is un treatable in the western medical model, wouldn’t it be of value investigate this treatment and to use the standard scientific double blind, control group methodology to confirm or reject its efficacy. Patients with AMD are told to eat foods rich in antioxidants as the primary treatment for this condition. Also to wear UV eye protection and to eliminate smoking and alcohol from their lifestyles, and to take vitamins. Looking into medical approach further reveals that a patient would need to consume several pounds of blueberries/day to obtain the recommended quantity of antioxidants. Medical physicians are not educated in nutrition, but rather pharmacology in school, and yet they are giving this ineffective treatment advice to their patients. It was not long ago that Chiropractic Medicine which was and is effective for millions of patients was deemed quackery by the medical establishment, thus doing a disservice and harm to the patients that could benefit from this treatment approach. If there is the possibility that acupuncture can be effective for AMD, then instead of knee jerk debunking it, why not be “REAL” scientists and research it? And the fact that the providers of the Santa Fe Protocol are offering a no charge policy if it isn’t effective for vision improvement speaks volumes. Conflict of Interest Disclosure: I am a practicing Naturopathic physician and Acupuncturist. Typical rote recital from a ‘professional’ skeptic of the ABC’s of logical fallacies (it is a logical fallacy, by the way, to base an argument on the explication of logical fallacies). Long history of traditional use may not be applicable or relevant evidence in every single case of the myriad medical treatments humankind has pursued over the years, but an analogy more appropriate than comparing acupuncture to debunked theoretical models of disease is to talk about whether or not these is a need for reinventing the wheel – it’s been used for thousands of years because it works, not because of the ancient models explaining the force we now refer to as gravity. Where did I make such a logical fallacy? How do you know “it works.” By whose and what standards? How is it measured and how the data are collected and interpreted? How prevalent was the practice of acupuncture before Chairman Ma boost the practice during the Cultural Revolution? ‘By whose and what standards? How is it measured and how the data are collected and interpreted?’ These are wonderful questions and I think following them to their logical conclusions will show a definite benefit to be bestowed on our current healthcare system with acupuncture’s inclusion. After all, as many are fond of saying, a plurality of anecdotes do not suffice as statistical evidence, but when you’ve got millions of people with personal experience with acupuncture who all say ‘it works,’ then whose standard are you really more concerned with in a clinical setting , the scientist doing statistical analysis at the computer or the patient in the lobby? It’s really a value judgement on that one, and you can’t measure ‘better’ or ‘worse,’ we each must decide that for ourselves. It’s that whole pesky consciousness thing that reductionist materialists just absolutely hate to have to bother with at all, ever. ‘How prevalent was the practice of acupuncture before Chairman Ma boost the practice during the Cultural Revolution? Read more at https://guardianlv.com/2014/07/acupuncture-treats-blindness-how-to-spot-unproven-medical-miracles/#mMQV5UzIvpEjXoGW.99‘ Wow, two logical fallacies in one (it is fun to watch people become that which they hate). Yes, you managed to get in a straw man argument AND your own fallacious appeal to history. Kudos. Also, I think it is only fair for you to state the conflict of interest that Colquhoun and Novella references carry with them on this subject matter for the sake of the uninitiated, don’t you? Shouldn’t folks know that these are people who have made a significant part of their livelihoods by decrying various CAM therapies and practices? It diverts the discussion or debate away from the original issue, which in this case, is the claim that acupuncture has been used for thousands of years. In my previous comment, the question about the prevalence of acupuncture before Chairman Mao’s boost. It is not an attack on anything, but questioning your claim about, thus, no strawman fallacy occurred on my part. Also, “appeal of history” fallacy does not exist after a quick Google search. And what is it’s definition? If you find a valid resource that describes appeal of history fallacy and how I had made one in my previous statements, please share it with me. I may learn something new today. Kudos. Based on numerous readings and lectures from Dr. Novella, I doubt he and his colleagues are making a significant part of their livelihood from “decrying various CAM therapies and practices. So far, they have provided quality evidence and logical explanations against some — not all — CAM practices and nutritional shams. If they make a living by protecting consumers from misinformation, then so be it. No different than Examine.com for providing consumers with truthful and evidence-based science against bogus nutritional claims. However, even scientists and clinicians make mistakes. If they make any, they would most likely correct them. I don’t know. This question is better suited for clinicians, and it enters the realm of ethics and philosophy. Perhaps you could ask them. Yes, your question about Chairman Mao is both a strawman argument (what do the Chairman’s views and comments on his feelings about TCM have to do with whether or not acupuncture is clinically effective?) and an appeal to tradition (what does one small moment in the history of the practice of acupuncture and it’s relationship to the cultural views of a modern day Communist regime have to do with whether or not acupuncture is clinically effective?). Or maybe it’s an appeal to authority fallacy, if you see Chairman Mao as being representative of Asia in general and thus his opinion on TCM standing as the opinion of the majority of Asians. Dr Novella et al definitely have made a job out of decrying CAM practice and research (even though these days much of that research is every bit as high quality as the research they prefer to back); it’s what they write about and speak about and blog about and go to conferences about and teach about and so on and so on. Conflict of interest acknowledged. I am a clinician, by the way, I treat patients all day every day. I do find it very important to engage philosophical and ethical questions about the practicalities of clinical work, but perhaps these ideas go too far afield from the scope of this article. “Many acupuncturists treat eye disorders; in fact, many specialize in ‘eyes’. Any improvement in macular degeneration, for example, even if not a full cure, would be good, wouldn’t it?” Where is the evidence that indicate a strong correlation between acupuncture and improvement in AMD? The West currently has recognized these treatments, as indicated by the references I cited from. 3000, 4000, 10,000 years of “clinical experience” does not validate a practice. That would be an appeal to traditional fallacy. Bloodletting and exorcism were once used to “treat” diseases and disorders for centuries. When people gained a better understanding of pathologies and how to treat them better with the scientific method, many outdated (and dangerous) treatments were abandoned. Many acupuncturists treat eye disorders; in fact, many specialize in ‘eyes’. Any improvement in macular degeneration, for example, even if not a full cure, would be good, wouldn’t it? Because the West has not recognized these treatments, nor conducted clinical trials, does not mean it doesn’t work. 3,000+ years of clinical experience makes one fairly confident that traditional Chinese medicine (acupuncture and herbs) is worth a try. What do you have to lose?